Tuesday, October 25, 2011 at 2:14 pm. Perhaps more importantly, through Apple’s products, Steve also taught hundreds of millions of consumers to expect and demand amazing things. For now, many of those Apple colleagues — especially the ones who worked most closely with Steve — still work there. But over time, more will leave to start their own companies or launch new projects. And some of those companies will make some really cool things completely outside the consumer electronics industry, reflecting both the work of their founders and also a little bit of Steve Jobs. 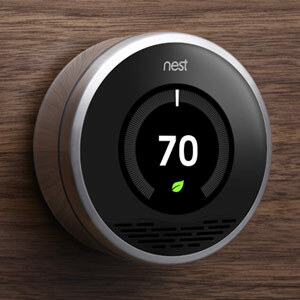 Today’s example is Nest, a company founded by former Apple iPod co-creator Tony Fadell, which makes thermostats. His product is basically the iPod/iPhone/iMac equivalent of the thermostat. Yes, it’s not the first thermostat on the market that uses software to “learn” how to heat and cool your house properly, just as the iPod wasn’t the first MP3 player on the market. But it looks great, seems to have a user interface that is well ahead of the competition, reflects modern software and networking capabilities, and has an aspirational brand that I have never seen in a thermostat before. Did I mention it looks great? See this video on TechCrunch where Fadell explains the attention to detail they put into the Nest, designing the outer metal ring to act as a sort-of mirror, helping the thermostat take on and blend into the colors of the wall behind it. This isn’t just a fancy and functional thermostat, it’s a beautiful one. Go to the “thermostats” page on the Home Depot website — I’ve sorted the results to put the most expensive ones at the top of the page — and see a bunch of white plastic boxes with black-and-green LCD displays. And now you see why the Nest thermostat is exciting people today. 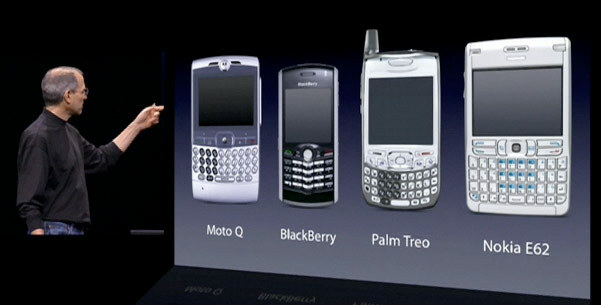 More than anything, this reminds me of the slide of 2006-era smartphones — Motorola Q, BlackBerry Pearl, Palm Treo, Nokia E-something-something — that Steve Jobs displayed before he introduced the iPhone for the first time. Night and day. Anyway, the Nest is, of course, just one example. It might not even work — it could be a flop. Who knows. That’s not the point. The idea is that, going forward, integrated hardware, software, and Internet services — the model that Apple has really gotten good at — are going to take over more industries than just computers and pocket gadgets. Everything from your phone (already done, if you have an iPhone) to your car (in progress) to your thermostat (see above) to far-flung sectors of industry and commerce. If it hasn’t been re-imagined yet, it will be eventually. And while Apple can’t and won’t make all of that stuff itself — part of what makes Apple so successful is its carefully limited domain and obsessive focus — people who worked there and learned from Steve Jobs can. And they increasingly will. And it could be great for all of us.